studio calico’s may - camelot kits are here! camelot is now available to subscribers and will be available to everyone at midnight est. 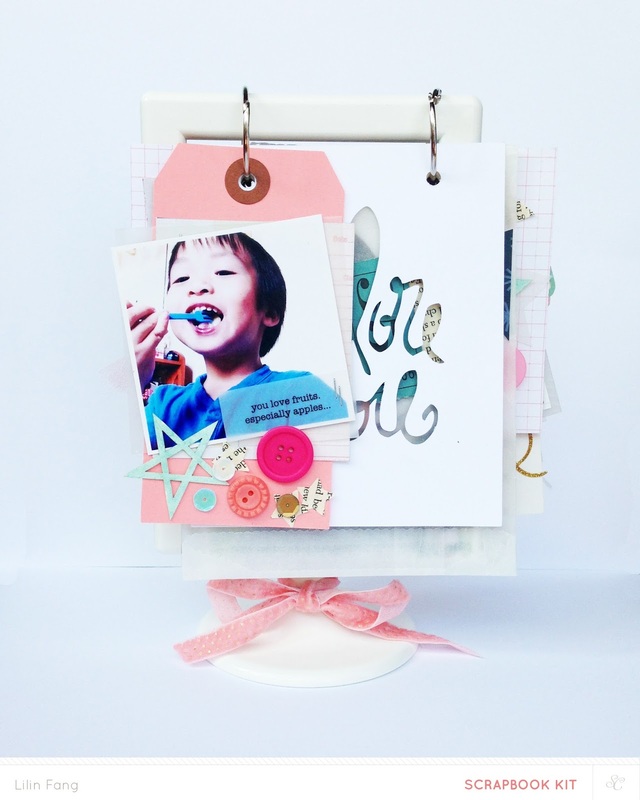 this month’s kits are once again – amazing! love the colors so much and the only thought i had in my head all these time was – how I wish I have more time so I can play with my goodies!!! 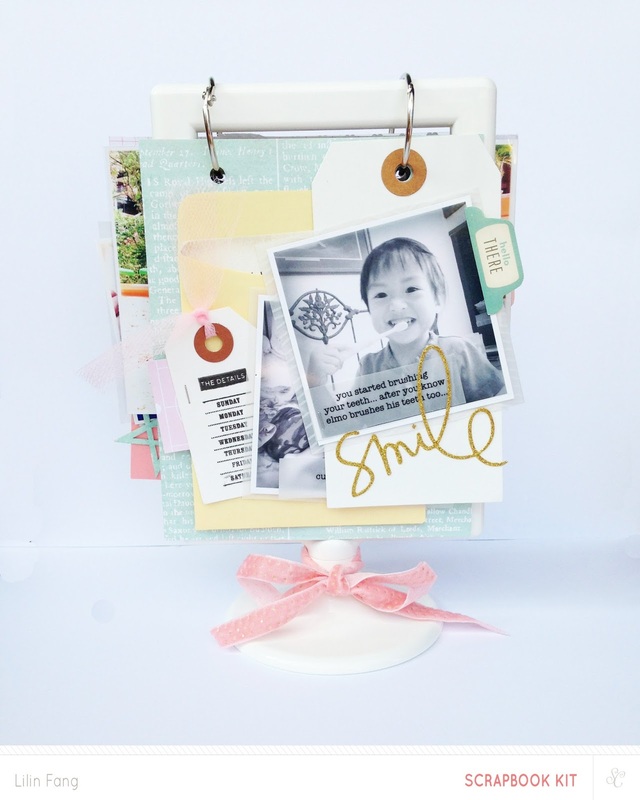 along with the main scrapbook kit, there’s guinevere (add on 1), excalibur (add on 2) and merlin (add on 3). 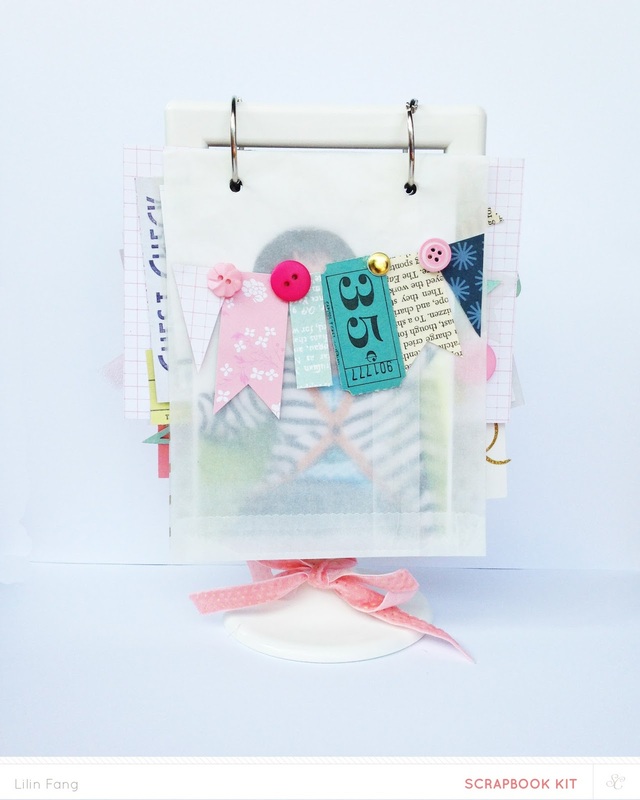 you will also be happy to know that excalibur is a mini album add on kit which the talented maggie holmes will be using in her mini album class! Let’s take a look at what I made. i used by silhouette cameo to cut out this scallop dot cutfile designed by paige evans and used it as a stencil for gel medium and gesso. the white on white impression of the scallop dots doesn’t stand out so i added a rainbow of colors using the new gelato set that i bought. the gel medium will resist the gelatos and water and the scallop dots shows perfectly. i decided on the placement of my photo and i fussy cut some hearts using the patterned papers and arranged them according to the colors on the rainbow. i selected one of the beautiful digital stamps designed by suzy plantamura – i adore you and cut it out using my cameo for the title. next, i added some gold enamel dots and rub ons and my journaling. to finish off, i trim of the sides of my white cardstock and adhere to a piece of yellow patterned paper. 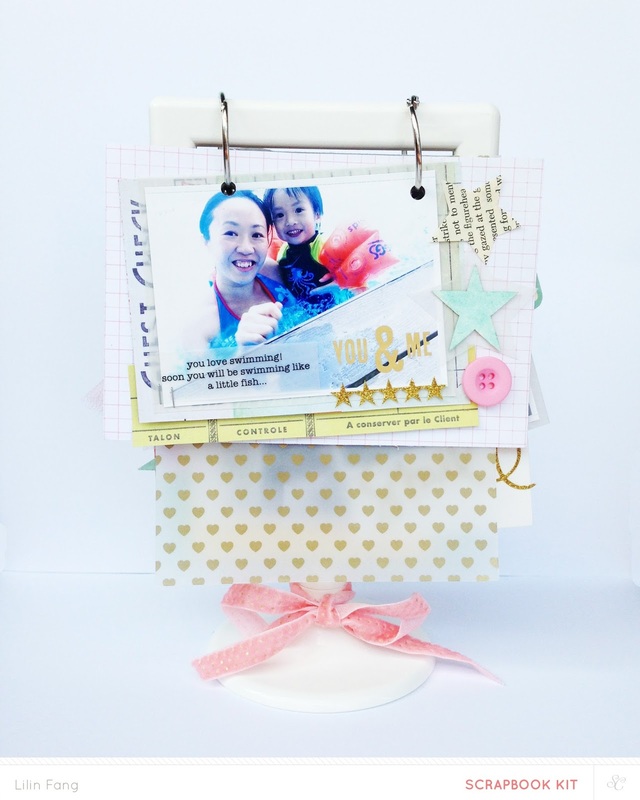 this page started with me experimenting with the new mr huey ink dauber included in the main kit. love the beautiful color and how easy to create something pretty with it! the first thing i tried was to create polka dots. i love polka dots so this was pretty instinctive for me. i love how they turned out so i fill up half of the white cardstock with the dots. 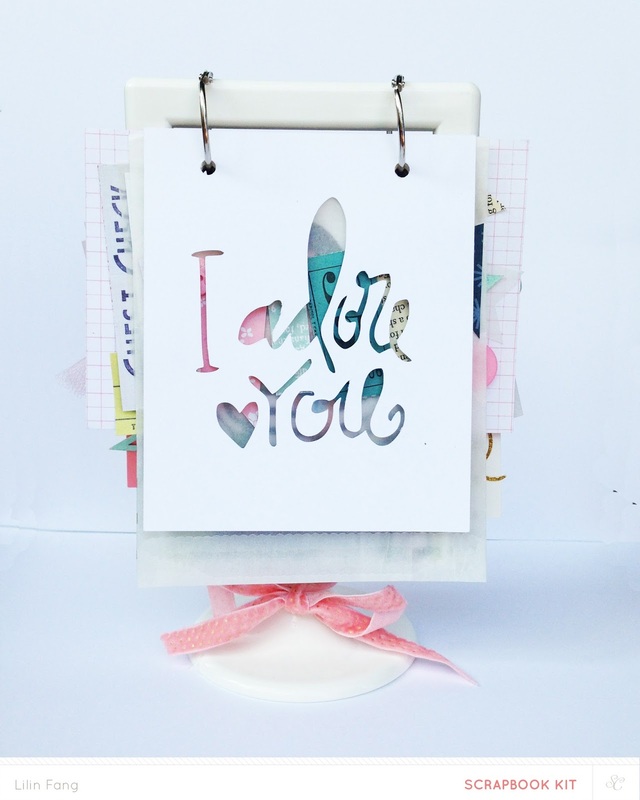 then added some mist (i used seafoam here) on the other half of the card stock to create a dual design background. 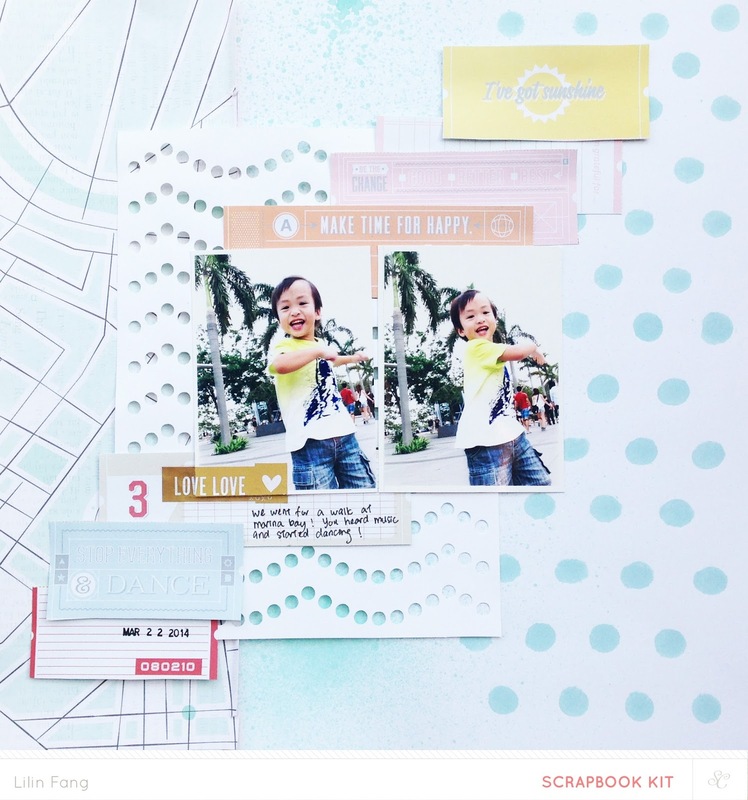 the rest of this page came about rather quickly as i started layering with patterned paper, scallop dot die cut, tags from loyalty II paper and my photo. i added a rub on, some journaling and a date stamp and the page is done! my little boy, ethan, is now 32 months and i made this mini album to document his current favourites. i wanted to have a stand for the mini album so i can display it and flip the pages like a calendar. i have this ikea photo frame lying around and i am very happy that i could hook my album on it with the metal rings! 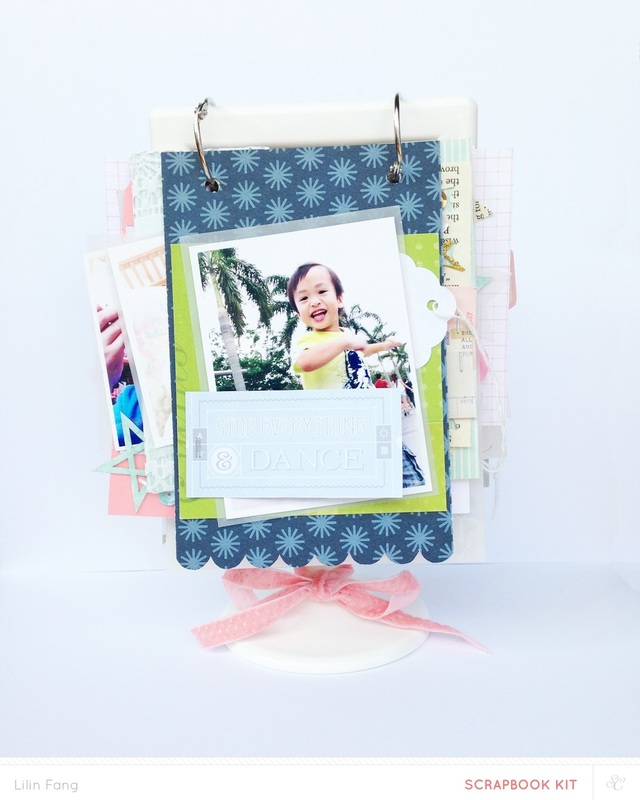 i had lots of fun putting this album and used a mix of the main scrapbook kit, guinevere and excalibur. i didn't want to stick the gold sticker directly on my photo, so i added a piece of transparency here. love the effect! 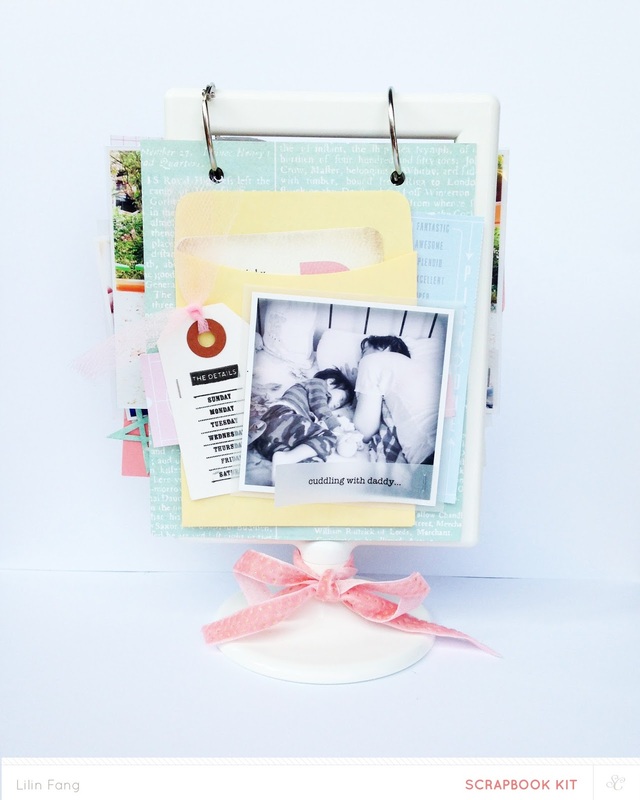 i printed my journaling on a piece of vellum, cut it out and attached it to my photo using the tiny attacher. happy with the results and will do this more often! 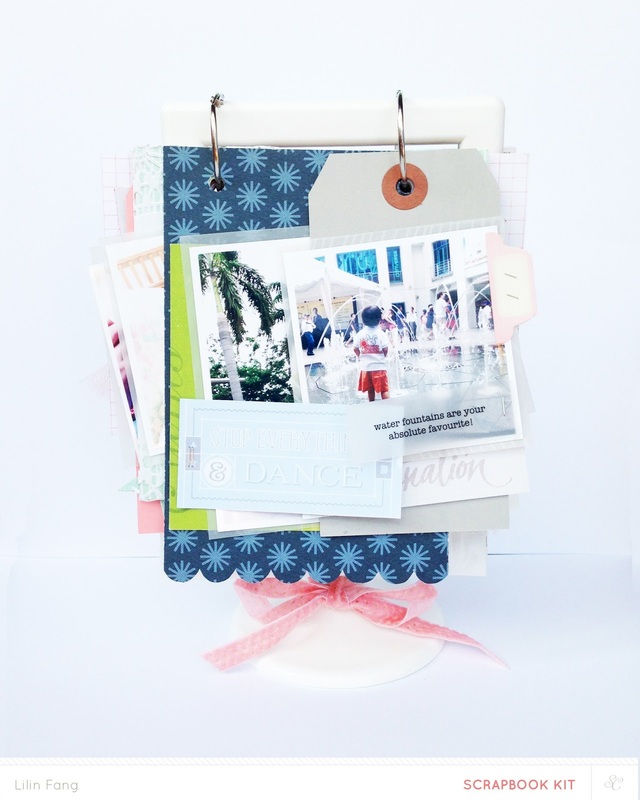 a great way to recycle the glassine bags that are used to pack your kit is to add it to your mini album. 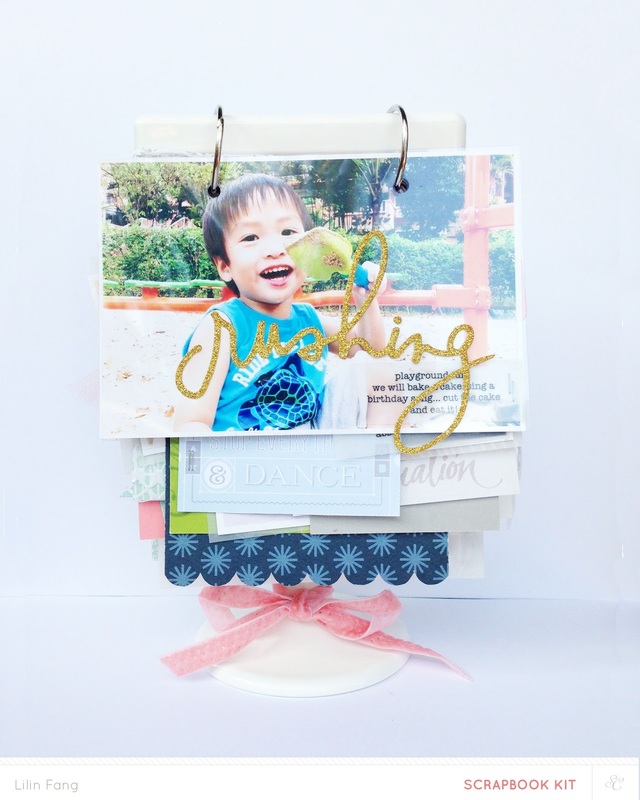 it can be used to store more photos or miscellany. i decorated it with a mini banner here. 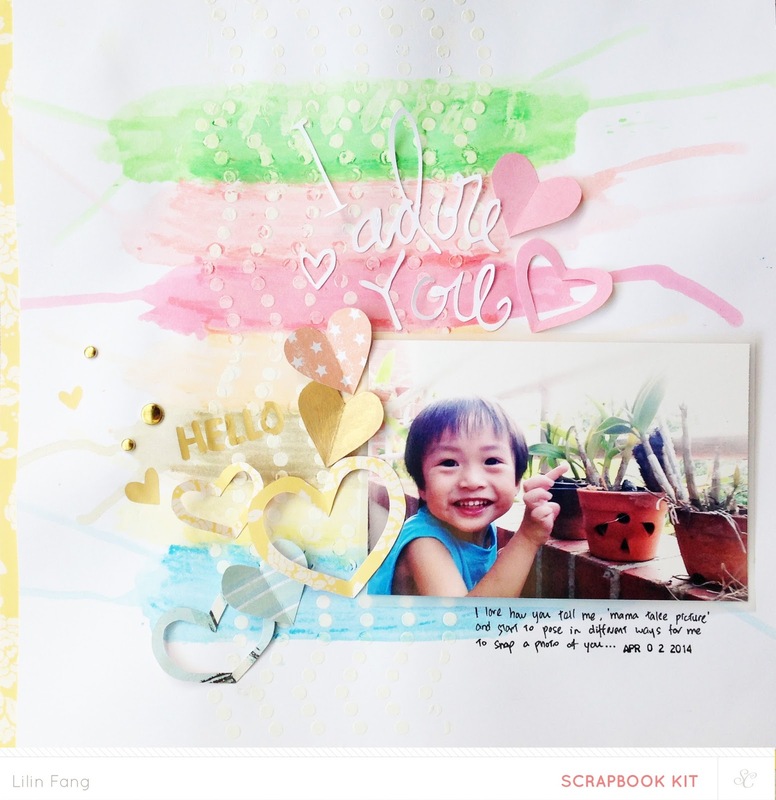 as mentioned, i love the ink dauber included in the scrapbook kit this month. i am not very good at misting and if i try to color something, it will end up very wet and maybe patchy. so the ink dauber is the answer to my problem! it's super easy to apply the color to the watercolor stars. love the mint green too! 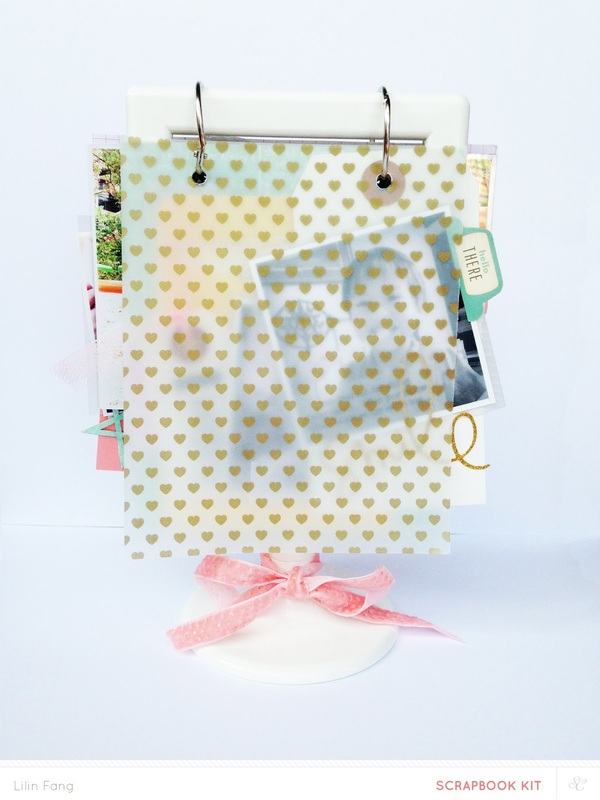 this gold heart vellum paper is so pretty, i just have to add it somewhere in my album. that's all! thank you for dropping by and going through this long post with me! I hope you enjoyed my reveal of camelot! remember subscribers can start shopping now, for the rest of the public, reveal will go live at midnight est/ 11pm cat tonight and the links to camelot will not work till then! if you love studio calico kits and would like to subscribe, click here and start your subscription with camelot!